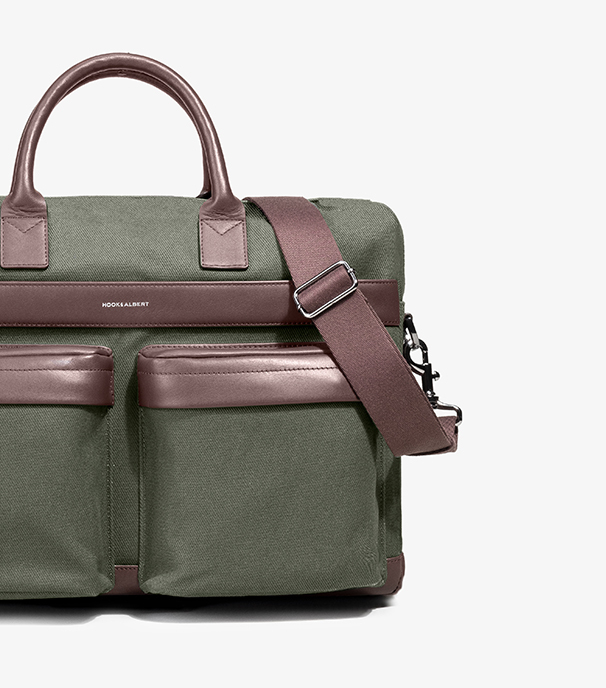 Finally, a briefcase where design isn't sacrificed for function. Our Casual Briefcase has a sleek modern silhouette with more than enough room for all of your essentials. 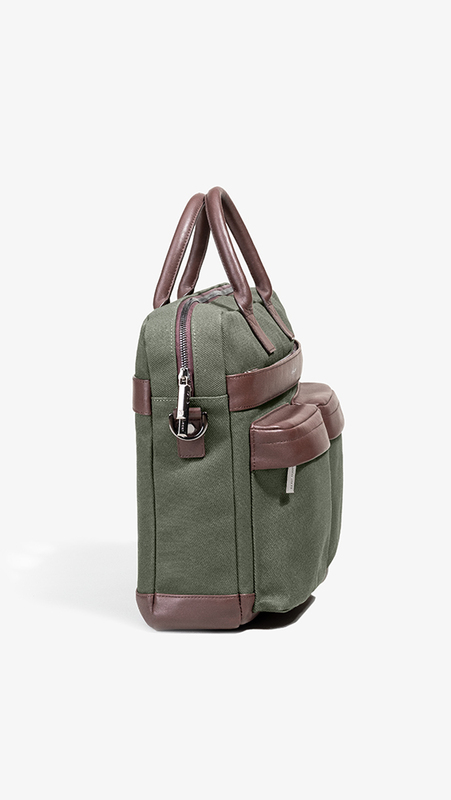 The exterior is made from a custom lightweight and water resistant twill fabric with top grain smooth leather handle. All metal hardware is customized and branded. For securing valuables while providing easy access when on the go. For easier carrying as a messenger bag or a traditional briefcase. Not only do our dual front pockets mimic our classic Garment Weekender, they are also great for storing cords, hard-drives, and whatever else you can dream up. The back strap fits over suitcase handles for convenient travel.